In the wise words of Ferris Bueller, “Life moves pretty fast. If you don’t stop and look around once in a while, you could miss it.” Truer words were never spoken. Seriously. It’s really easy in life to get caught up in the daily craziness. CrossFit is the same way. We get focused on progress and on PRs. We watch the weights and the times and get caught up on food. We get frustrated at lack of progress or bad days. We get caught up in it all. It usually takes something big to snap us out of our insanity. A few weeks ago it happened to me. While warming up, I made a mistake of epic proportions. I walked over to the rig, and set my water bottle down to claim my spot. Our coach asked us to warm up with pull ups, so I jumped up there and started kipping away. I kicked the top of my water bottle as I adjusted my hands, and didn’t think much about it. I did my 5 pull ups and released the bar, jumping down off the rig. Little did I know, my water bottle had rolled underneath me, and when I jumped down I landed on the bottle. My ankle turned and I instantly tore every ligament in my ankle, and dislocated a bone in my foot. First, let me say, this was NOT a “CrossFit” injury. This was not from overtraining, or doing something I wasn’t meant to do. This was from a water bottle… So before you haters get all “see I told you this was dangerous.” It’s not. Water bottles and not paying attention to your surroundings is dangerous. If I teach you anything in my writing career, let it be this: do not leave your water bottles too close to your work area. So, here I sit. In a boot with crutches for 4 days, a walking cast for two weeks, and now a brace, waiting on the swelling to go down, the pain to go away, and for the range of motion to come back. It’s miserable. I am so frustrated. I still show up to the gym and do work, but it’s not the work I want to do. I row with one leg, and can do the air assult, but I cannot run. I cannot lift weights because my ankle cannot bear the weight. I do seated strict presses, and seated wall balls, and a LOT of bench press. My coaches are wonderful at helping me modify my workouts, and to be able to accomplish something, but it’s not near what I want to be doing. I am definitely not the only athlete to sit by during an injury. I am not the first and I will not be the last. I feel lost and frustrated a lot of the time. However, one great thing about this injury has been it gave me a chance for some deep introspection. Why did I start doing this in the first place? What pulled me in to this world and why did I stay? I remember when I casually sauntered into the gym. I was in need of something new. I was out of shape, I had an eighteen month baby boy, and I wanted to “tone up.” I have been a member at all sorts of gyms. I have had a personal trainer. I have done yoga. I have done all of the at home videos. I cannot workout in the comfort of my own living room, because you know what else is in the comfort of my own living room? My couch. It may work for 4-6 weeks, but sooner or later the gravitational pull of couch wins. 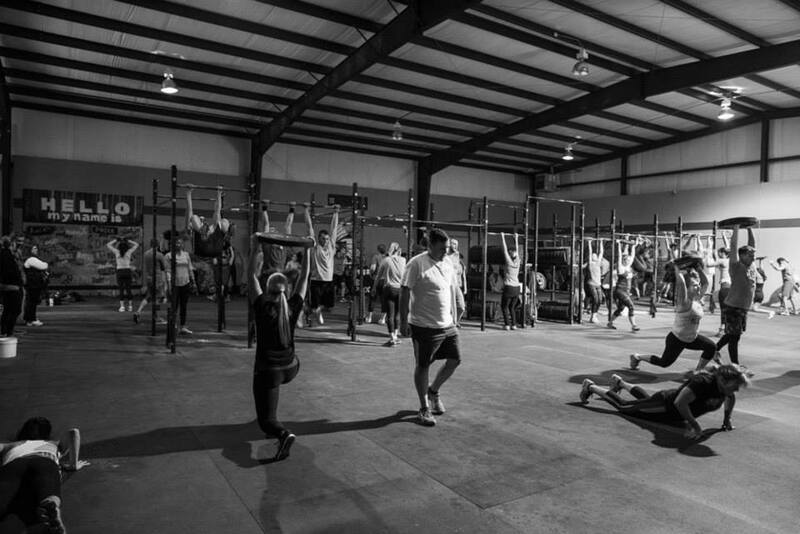 I have done CrossFit for 4 years, and I have never once thought of quitting. I found my passion in the walls of my box. I found more than a workout. I found determination and motivation and friendship and life. We have heard all of this before. These are not new words, but as I have sat, literally, in the middle of the gym over the last four weeks and watched my friends lift weights, and run, and PR, I have been smacked over the head with the reality of this sport. It’s not to PR every time I walk in. It’s not to be in constant search of more weight or faster times. While we want to improve, it’s about improving ourselves. It’s about the commitment to becoming better. It’s the relationship with our fitness. In relationships there are good days and bad days. There is closeness and there is frustration. This relationship is no different. I show up to the gym everyday not to beat everyone in the class, or be the one to lift the heaviest weights that day. I show up to gym every day to be strong and enjoy life. To be able to chase my kids through the park, and to wrestle them in the living room. I do this to be able to try surfing lessons in Hawaii, and to hike when I can. It’s not about perfection, it’s about life. While I am ready to be healthy again, I’m thankful for the opportunity to step outside of craziness and focus on the why.